China has been the world’s largest industrial robot market for four consecutive years. In 2016, China had a total sales volume of almost 90,000 units – a 27 percent increase compared to 2015 and representing 30 percent of the global market. However, despite China having the most industrial robots in the world, its robot density is below the global average, with only 68 units per 10,000 workers in 2016. Furthermore, most of the demand for robots in China is from international firms, and domestic producers are reliant on foreign technology. The Chinese government has ambitious plans for the country’s robotics industry. MIC 2025 starts by listing the robotics industry, along with artificial intelligence and automation, as one of the priority sectors for high-end development to push forward the transformation and upgrading of the manufacturing industry. This push sees the government aiming to raise the global market share of Chinese-made robots from 31 percent in 2016 to over 50 percent by 2020. Further, in 2016, the government launched the Robotics Industry Development Plan (2016-2020) to promote robot applications to a wider range of fields and to attract foreign investment, aiming to make 100,000 industrial robots produced by domestic technology annually by 2020. To attain these goals, the government supports companies that implement robotics-enabled automation in key industries, including automobile manufacturing, electronics, household electrical appliances, and logistics. The government has several programs and incentives to encourage R&D development and innovation, such as offering robot manufacturers and automation businesses subsidies, low-interest loans, tax relief, and land rental incentives. 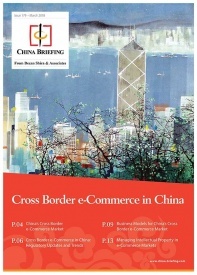 During the 2017 Boao Forum, Chinese officials also restated the importance of domestic and foreign companies to be “treated equally in terms of qualification licenses, government procurement, and enjoying preferential policies of MIC 2025.” Nevertheless, many foreign governments and tech companies fear that MIC 2025 gives Chinese companies an unfair advantage. To date, the government’s efforts to develop the industry appear largely successful: China is the fastest growing robot market in the world. Analysts attribute China’s rising robotics industry to its scale, growth momentum, and capital. As of March 2017, more than 800 companies in China were directly involved in robot manufacturing, and by the end of 2017, there were over 6,500 companies relating to robotics. Major Chinese robotics players include SIASUN and DJI Innovations. Development primarily focuses on servo control, motor, and reducer, human-machine interaction techniques, robot vision and intelligent speech, and underwater robots, among other technologies. The rapid growth in China’s robotics industry is not limited to domestic companies. Foreign companies such as Nachi-Fujikoshi and FANUC have franchised with KUKA, Reis Robotics, Staubli, and ABB to establish production facilities in China – not only sales or integrated offices. The Taiwanese electronics giant Foxconn is another major robotics player in China. Government incentives have also allowed Chinese companies to acquire Western robotics technology companies. For example, in 2016, Midea Group acquired KUKA, one of the world’s largest robot manufacturers, to advance its home appliance production. With strong government interest in the robotics industry, a large and growing number of Chinese companies, and foreign companies that often hold the most advanced technology, there are a number of different actors involved in the industry. According to Martin Kefer, founder of Motus Operandi, a robotics software company based in Shanghai, foreign robotics companies entering the Chinese market must be prepared to deal with a large number of stakeholders. Kefer noted that many of the manufacturers that are adopting robots operate in Sino-foreign joint ventures, such as in the auto industry, where foreign ownership is still capped. Furthermore, investors must be prepared for the government to be another key stakeholder in the industry. “[The] government is an actor on all levels,” Kefer said. According to the Chinese Institute of Electronics (CIE), east China’s Yangtze River Delta region has the most solid foundation for robotics development. The Yangtze River Delta region has formed an agglomeration effect in Shanghai, Kunshan, Changzhou, Xuzhou, and Nanjing. Many global robotics giants establish headquarters or offices in the Yangtze River Delta, especially in Shanghai, where Kefer noted that the startup environment is very supportive. The robotics industry in the Pearl River Delta and the Beijing-Tianjin-Hebei (Jing-Jin-Ji) regions are also gradually growing. The number of robotics-related companies in the Pearl River Delta region is over 700, second only to the Yangtze River Delta region, with a total output value of RMB 75 billion (US$11.80 billion). However, the industry’s overall innovative capabilities in the northeastern region – China’s rust belt – have been limited in recent years. In China’s central and western regions, the foundation of robot production is relatively weak. However, these generally fast-growing regions still show potential for development. In addition to regional clusters, China has more than 40 robotics-focused industrial parks throughout the country. Robotics-focused industrial parks benefit from government resources and incentives to promote the industry. At the 2017 World Robot Conference in Beijing, CIE released the Report on the Development of China’s Robot Industry (2017). According to the report, in 2017, the size of China’s robot market was expected to reach US$6.28 billion – over a quarter of the US$23.2 billion global market. The robotics industry is divided into various sub-sectors for robots that perform different functions. Here, we look at industrial, service, and specialized service robots. According to IFR, an industrial robot is an automatically controlled, reprogrammable multipurpose manipulator programmable in three or more axes. The main applications of industrial robots in China are in the following sectors: automobile manufacturing, electrical and electronics, rubber plastics, metallurgy, food, chemical engineering, and medicine and cosmetics. 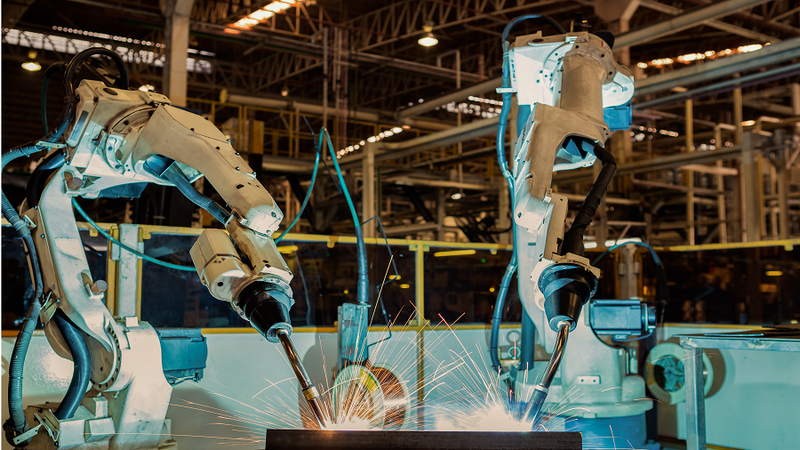 50 percent of industrial robots are used in automobile manufacturing, of which more than 50 percent are welding robots. China’s industrial robot market was worth an estimated US$4.22 billion in 2017. By 2020, it is expected to reach US$5.89 billion. A service robot operates semi or fully autonomously to provide services for human health or the maintenance of equipment, excluding industrial operations. Healthcare/medical devices, finance, warehousing/logistics, and customer service/catering are the hottest industries for service robots. Service robots have also increasingly been appearing in households as home-cleaning robots, accompanying robots, entertainment robots, and education robots. 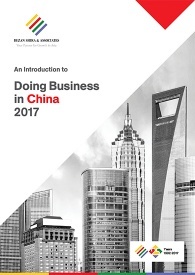 In 2017, the market was worth an estimated US$1.32 in China. But with a rapidly aging population, the continuous demand for healthcare and education, and the rapid development of parking robots and supermarket robots, the market size of service robots in China is expected to exceed US$2.9 billion by 2020. Specialized service robots in China are generally considered those used for military applications, extreme operations, and emergency rescue. Specialized service robots in China are increasingly being used in response to earthquakes, floods, extreme weather, fire, security, and other public safety incidents. With Chinese enterprises’ increasing safety awareness, specialized service robots will be used in dangerous environments to perform a wide variety of tasks. In 2017, China’s market for specialized service robots was worth an estimated US$740 million. By 2020, it is expected to reach US$1.24 billion. Besides the current two traditional robotics businesses in China – hardware and system integration – foreign companies such as Motus Operandi are investing in a third solution: software designed for robots. For example, Motus Operandi provides software for installation in robots that finds the most energy efficient way for a robot to carry out a given task, which can save companies millions annually. Robotics companies such as Motus Operandi benefit from the Chinese government’s support for the industry. “Electricity is subsidized in China, which means the government pays the final bill,” Kefer remarked. Motus Operandi’s experience is demonstrative of opportunities in China’s robotics industry. Aided by government support, producers of robots and related software and services are finding substantial room for growth. However, these same government initiatives can also create competition and hurdles for foreign players in the long run. Such policies make the robotics industry an alluring but challenging area for foreign investment. Please let me know how can I find 6,500 robotic companies in China?